God is with people suffering from disaster - the refugee, the earthquake survivor, the family facing famine. He calls us to follow Him in offering hope to the most vulnerable in their hour of greatest need. Following Jesus' example, we seek out the lost, injured, and threatened, providing care and protection when it seems all is lost. Growing up in Ban Yan Yao, a small fishing village on Thailand's western coast, Jane Sunari Udomsawat's family made a living from the sea. But on Dec. 26, 2004, the sea that had provided for the family became an angry foe. Early that morning, Jane and her father left the house to pick up a relative at a bus terminal nearly seven miles inland. Her mother and sister remained home, unaware a wall of water was surging their direction. Jane and her father were still on the road when they heard about the tsunami's destruction. They quickly returned home. "There was nothing left of my house," Jane says. "Everything was gone with the water." Jane's mother and sister were among the missing. Jane and her father searched for hours, finally collapsing from exhaustion in a temporary shelter. World Vision was there to help them and many others who had nowhere to turn. But a place to sleep wasn't all they found. "We saw my mother and sister there," Jane recalls. "I was very happy." Soon, World Vision also provided Jane with a school uniform, shoes, and supplies so she could return to her studies. Today, Jane is a sponsored child, which allows her to do two things that are important to her: grow her leadership skills and remain in school. Now the 18-year-old's goal is to graduate from college and work for Thailand's government. Praise God for this! Since the middle of the 20th century, recorded disasters have increased tenfold, with the majority stemming from weather-related disasters. 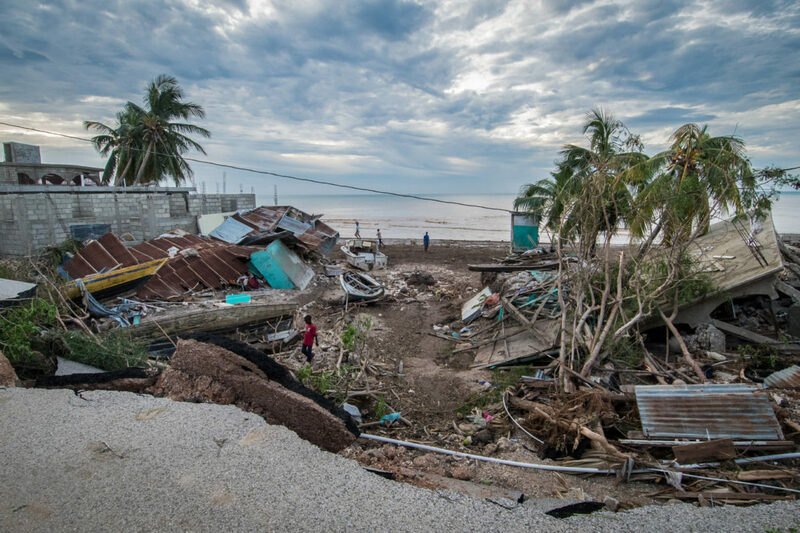 By providing rapid assistance to people devastated by natural and man-made disasters, World Vision serves the most vulnerable in their hour of greatest need. People desperately rely on emergency assistance: food and clean water for basic sustenance, emergency shelter and blankets to keep warm and dry, and emergency health services for people in need of care. Merciful Counselor, we grieve with communities suffering from disasters and struggling to bounce back. Speed the restoration of community life so children can feel secure again. Give families the strength and perseverance while they try to rebuild their homes and livelihoods. Let them find refuge in You. Pray for international disaster readiness. Many disasters strike with little or no warning, as the 2004 Indian Ocean earthquake and tsunami demonstrated. That morning, the tsunami traveled at up to 500 mph, radiating across the Indian Ocean before slamming into the coasts of 14 countries. Families had little time to react, much less prepare. So communities all around the Indian Ocean - even to Africa's shores - experienced widespread homelessness. In disasters, World Vision works across all humanitarian sectors to save lives, reduce suffering, and ensure families can begin to rebuild their lives and livelihoods. We also help communities to prepare for future disasters, so people and property are safer in the years to come. And for every $1 spent in disaster preparedness, countries save $3 to $4 after disaster strikes. Almighty God, You know that the hardest hit when disaster strikes are like Jane's family - people who are poor and have few resources to recover and rebuild. Inspire leaders of the world's wealthy nations to be ready to participate in disaster responses with compassion and generosity. Help governments invest in disaster risk reduction and preparedness training so their citizens are less vulnerable during emergencies. The number of people displaced by war, conflict, or persecution is at a record high - more than 60 million and still rising, according to the U.N. refugee agency. Some are refugees; others are displaced within their countries' borders. Europe's current refugee and migrant crisis is only a fraction of the total number of people unable to go home, but it paints the poignant picture of people fleeing conflicts and extreme poverty. Good Shepherd, no refugee is a stranger to You and no one is ever far from Your loving care. Watch over children and families as they travel to camps or relocate within their country. Shelter their souls and their bodies. Heal the hearts of refugees who have endured unimaginable tragedy and trauma. Pray for peace in countries with ongoing violence. The combined Syria and Iraq displaced population alone accounts for one-quarter of the more than 60 million people displaced today. Recent violence in South Sudan, Central African Republic, and the Democratic Republic of Congo has destabilized the lives of millions. Gang atrocities and threats have created fear throughout Central America. Join us in praying for places around the world today where peace is in desperately short supply. Pray for children in difficult places. Refugees and disaster survivors are caught in difficult circumstances, and the most vulnerable people among them are children. World Vision's disaster relief programs give priority to children and empower them - together with their families and communities - to become active participants in improving their well-being. 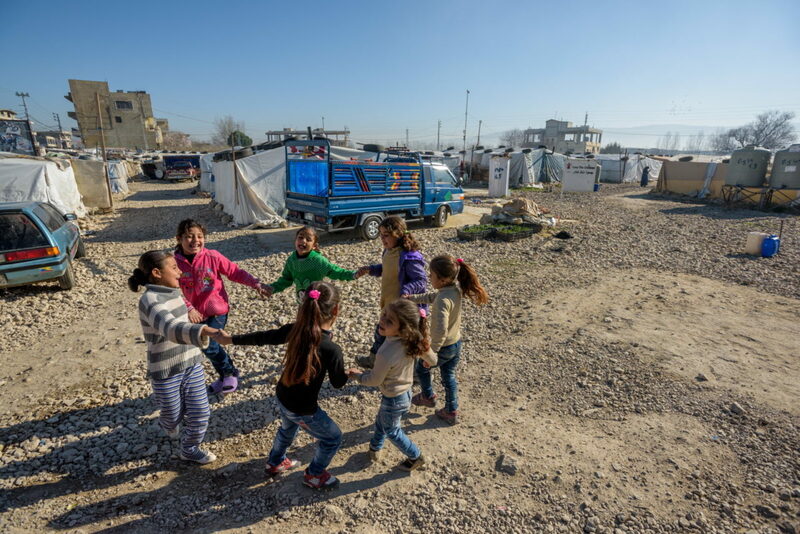 World Vision operates Child-Friendly Spaces: safe havens that allow children to play, draw, sing, and share their feelings; engage in non-formal education; learn resilience and life skills needed to adapt to their new environment; and return to or maintain a normal routine. Loving Provider, we echo the psalmist's confidence, "For he will deliver the needy who cry out, the afflicted who have no one to help"" (Psalm 72:12). Hear and answer girls and boys' cries for help. Let aid distributions reach children and families who need it most. In Your mercy, provide families wth what they need to survive. Pray for children separated from parents and family or who have lost loved ones. In the confusion of conflict, some children become separated from parents and family. Others are sent with friends or extended family in search of better conditions. Still, others witness or experience the death of parents or siblings and are left all alone. Losing family members - especially parents - leaves lifelong scars. These boys and girls are more vulnerable to abuse, labor, exploitation, and trafficking. Pray that God will continue to walk alongside each child and give them hope for the future. Compassionate Comforter, we ask that You keep all separated children safe from any kind of abuse. Help children to reunite with their parents and family soon. Turn the hearts of people bent toward evil so they treat vulnerable boys and girls with dignity and respect. Be a Shepherd to children who are missing their parents and grieving a great loss. Heal them, provide for them, and let them know Your peace that surpasses understanding and Your love that surrounds them each day. Children under age 5 are already at heightened risk for malnutrition, diarrheal diseases, and pneumonia brought on by contaminated water, reduced food supplies, and inadequate shelter. Children not in organized settlements may miss important vaccinations, putting them further at risk for preventable diseases. All children in tents or makeshift shelter face winter and summer weather extremes. Many displaced children do not have access to medicines or clinics if they fall ill.
Great Physician, we ask that You protect girls and boys from illness and heal children who have fallen ill. Help their little bodies fight off sickness and disease. Allow medical help to reach children who need it most. Help parents and caretakers find appropriate shelter for all who need it. Children on the move or in temporary housing often miss out on their education. Children not in their home countries usually can't afford school or don't understand lessons taught in another language. Girls and boys displaced in their own countries may not have access to proper classes or enough teachers in temporary settlements. And the average displacement today lasts more than five years - about one-half of a child's school years. Heavenly Father, You placed in children a curiosity about their world. This spark is what ignites learning. We ask You to make a way for every displaced girl and boy to restart school and make up for the lessons they missed. Help them gain the knowledge they need to reach the goals they have for the future. And give teachers the training to help these students regain what they may have lost. Pray for World Vision and its partners' response. In 2016 alone, World Vision assisted 15.4 million survivors of 130 emergencies in 63 countries, including the United States. World Vision has highly trained experts to respond to catastrophes. But this critical work is only possible because of the faithfulness of World Vision's donors and partners, who provide the resources essential for this kind of response. Dear Lord, thank You for donors and partners who faithfully support World Vision's relief work around the world. Continue to equip World Vision and other organizations whose staffs work tirelessly during disasters, providing life's essentials to meet urgent needs. Equip and inspire aid workers when they are exhausted so they can continue to help families recover and rebuild. Let support for refugees and disaster survivors never dwindle.